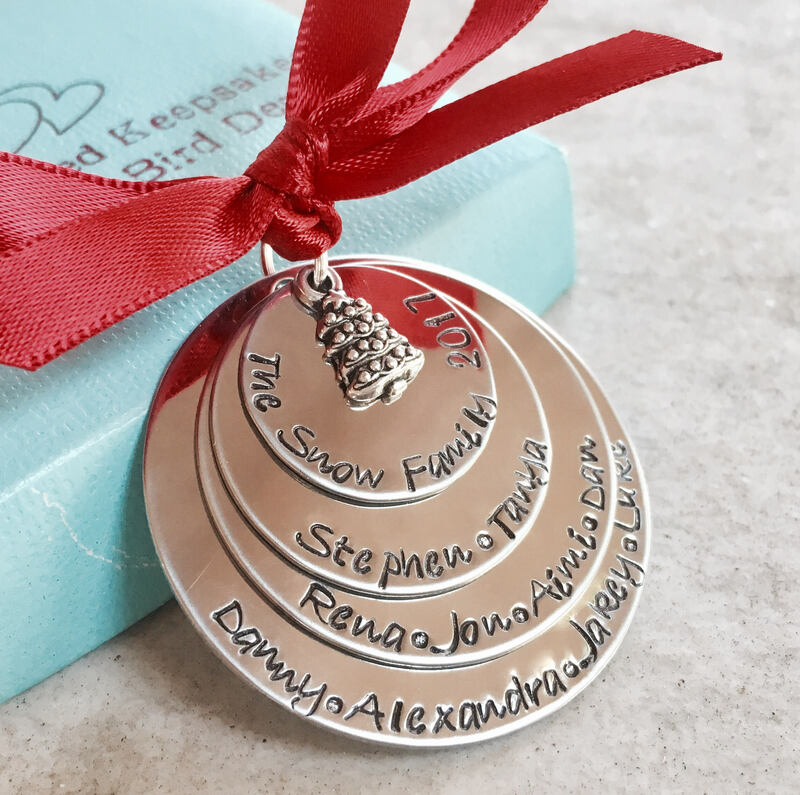 4 disc christmas ornament--A perfect way to include all of the members of your family! Please feel free to customize this ornament to best suit your needs. Includes christmas tree charm and ribbon in your choice of color. Please use the drop down menu provided to select which ribbon color you'd prefer. 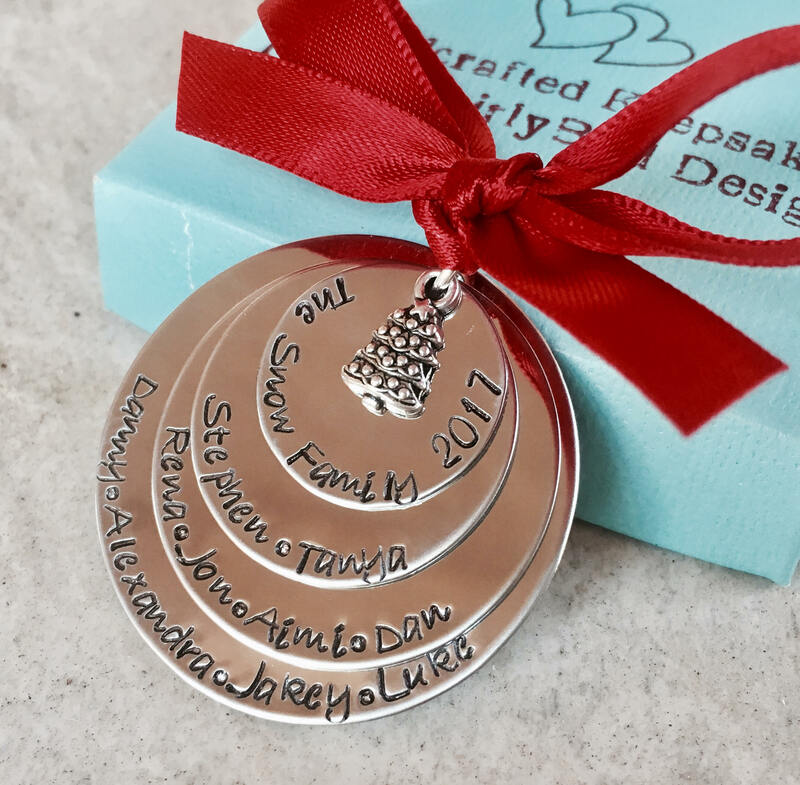 *******TO PERSONALIZE: In the "notes to seller" box found on the check out page, please leave me the details for what you want the ornament to say. If you have any questions at all, please send me an Etsy message and we can discuss details.